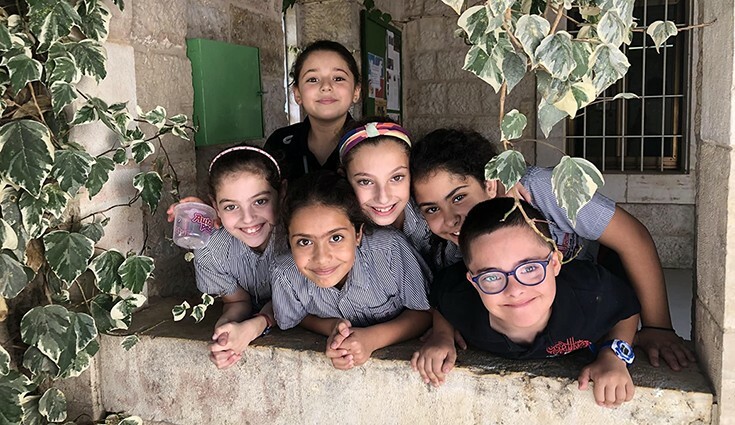 RFS' Learning Support Program (LSP) is the first and only inclusive education program in Palestine. Our aim is to care for each child’s specific needs, these include educational, physical, behavioral, emotional and social needs. It has proven tremendously successful since its adoption in 1995. Stemming from our full determination and belief to provide opportunities of success and achievement for children with challenges in our school, we continue to develop this program. To support the program, a resource room was established at the Lower and Upper School, and over the years with joint efforts from teachers and contributions from parents, we were able to develop a wide variety of multi-sensory educational resources. One-to-one support where the learning support team works with students in developing basic skills in literacy and different kinds of skills. Partnership support—where the learning support team works in collaboration with all teachers, counselors and school administration to address students' needs. Adaptation and modifications to the curriculum. Continuous advice and guidance to parents and teachers. Early detection and intervention is essential in promoting learning for young children. We work closely with the pre-school team in identifying and assessing student needs from the time students begin at RFS.